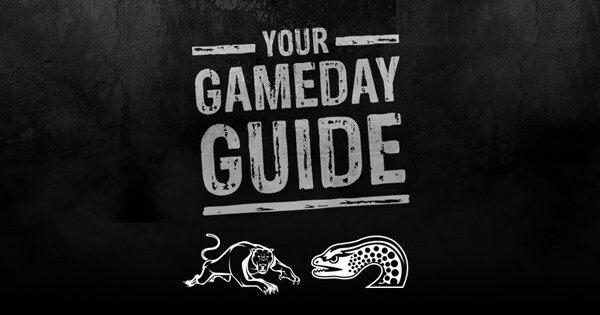 Everything you need to know as the Panthers welcome traditional rivals Parramatta Eels to Panthers Stadium for a pre-season trial game. Apart from DWZ for his brother, this is almost a round one side. Interesting naming Hethrington in the second row. Would of thought May or Sele to 13 and JFH to second row would of been in order. Of course as usual this could mean nothing being a trial and all. I expected Hetherington to be selected this week, solely for the fact he missed out on a run last week through injury. Though don’t assume he will take the field in the same spot in Round 1. Jed Cartwright went a long way last week to give him a shot of filling in for Kikau in Round 1.
who’s goin to the game ? For those unable to make it to the game tonight you can watch the game streamed live with commentary by Phil Gould and Mat Thompson. At least the commentary will be better. Latest news it that Tyrone May has been ruled out of today’s trial. Getting ready to leave home for the game - god I’m glad the footy is back! Scrappy first half - Cleary off just before half time clutching his cheek after a late hit - hope it’s nothing serious. Well, it was a trial, so as usual take the result (0-20) with a grain of salt. As in last week - Tim Grant has in my opinion won a bench spot for round one and onwards. He looks fit, in form and full of passion. Blake played like he started the last couple of seasons - crabbing sideways in his runs. Has he forgotten the end of last year when he realised he could run over player by running straight and upright? We need Sauce and DWZ back for round one. MWZ and Phillips are questionable as first graders. Hetherington looked a bit rusty, maybe wider play doesn’t suit him. Either we play two hookers or we play Egan. Katoa, while his passing has improved, is simply too one dimensional in his play and lacks vision on who to pass to. In the second half, on Parramattas line we had Ellis screaming for the ball on the right, with a 4 on 2 overlap, and twice Katoa goes left to Luai instead, for the play to break down. Ellis is improving on last year, and should win a bench spot consistently (or even starting to replace Kikau). Showed some good ball skills in the second half - did he play in the halves as a junior? Luai seemed way to conservative in his play , overawed or coached that way? He’s shown skills in the lower grades, but may be starting to stall in his development. All in all, don’t know how they were coached to play this trial, first half / first grade defense was great. i did see some highlights and boy we had some majors lapses even though it was a trial, you would hope our defensive patterns were drilled and understood. one question though…how did the Cleary/Maloney changing sides experiment look? Forget about trials and what they mean…we play the Eels in 2 weeks at home for the opener of the season…Eels would be feeling pretty good mentally and remember last year they should have won save for our miracle comeback. Defense was great for the first 30 mins when we had all firsts on the field, so in that respect the switch was a success. No chance to gauge the attack, we didn’t have the ball in hand. I almost wonder if we intentionally handed the ball over and gave away penalties to practice our defensive structures.